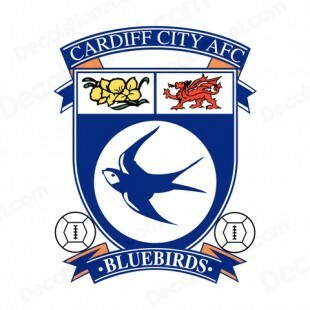 Cardiff City, a club that has pressed for promotion from English football’s second tier for the past few seasons, is one rich in history and famous past players. They are the only Welsh team to win the FA Cup, triumphing against Arsenal in 1927 and more recently, reached the final of the world’s oldest knockout competition in 2008 and took Liverpool to a penalty shoot-out in the Carling Cup final this season. However, with a dip in league form leaving the side outside the play-off places and the fans wondering what’s gone wrong at Cardiff City, here are six great players, past and present, who have pulled on the blue shirt. Cardiff may have signed Charles when he was coming towards the end of his career but since he was rated by many as the nation’s greatest all-round footballer, he had to be included in this list. Swansea-born Charles, as comfortable in attack as he was in defence and player who was never booked or sent off during his career, enjoyed prolific spells at both Leeds United and Juventus and played and scored for Wales during the 1958 World Cup. Charles switched to Ninian Park in 1963 and scored 18 goals in 69 league appearances before enjoying a lengthy and more prolific spell as player-manager at Hereford United. After a prolific start to his football career at Bristol City, Clark had an ill-fated spell at Huddersfield Town, which prompted City manager Jimmy Scoular to sign him for the princely sum of £8,000 in 1968. Clark took to life at Ninian Park immediately, scoring twice on his debut against Derby County and formed a lethal partnership alongside John Toshack. He scored five goals in a single Welsh Cup game against Barmouth & Dyffryn United but it was the 1970-71 season that saw Clark go down in history. He headed in the winning goal against Real Madrid in the quarter final first leg of the European Cup Winners Cup but after three seasons as the club’s top scorer, netting 75 goals in 182 league appearances, he was surprisingly sold to Bournemouth with Ian Gibson for a combined £100,000. He re-joined Cardiff for a final season in 1975 where he scored one goal in 21 appearances. Aside from a short loan spell at Rochdale at the tail-end of his career, Dwyer played all his football for Cardiff City. He holds the club’s all-time appearance record, which stands at 531 appearances and 45 goals (471 league appearances and 41 goals). Dwyer went on to win the Welsh Cup three times with City during the early 1970s but his City career was almost cut short in 1975. During a league encounter against Gillingham, he received a blow from an opposition player’s knee to the back of his head. The impact knocked him unconscious and he swallowed his tongue. His life was saved by Cardiff physio Ron Durham who managed to clear his airway. Dwyer, the battling centre back that he was, resumed playing for City just seven days later. He went on to win ten caps for Wales between 1978 and 1979, scoring against Iran and then England during a 3-1 British Home Championship defeat. The only player on this list currently still playing for Cardiff, goal scorer extraordinaire Earnshaw is the only player to have scored a hat-trick in all four tiers of English football, the FA Cup, League Cup and also at international level. He scored the winning goal against Germany on his international debut for Wales in May 2002 and the 2002-03 season saw him score 35 goals in all competitions. He hit 31 in the league that campaign which broke a 56-year-old club record set by Stan Richards. Unsurprisingly he was named Cardiff City Player of the Year in 2003. Despite being linked with the likes of Manchester United and Liverpool, spells at West Bromwich Albion, Norwich City, Derby County and Nottingham Forest followed before Earnshaw returned to Wales during the summer of 2011. Cardiff-born defender Keenor appeared in the first ever schoolboy meeting between Wales and England in 1907, fought in the Battle of the Somme during World War I and captained Cardiff City to their FA Cup win in 1927. Keenor could have missed out on City’s famous 1-0 victory against Arsenal, having struggled to hold down a place in the team due to injury. A proposed move to Bristol Rovers failed to materialise and the rest, as they say, is history. The hard-tackling defender made 414 appearances in all competitions for City, scoring 14 goals (371 league appearances) and will be immortalised with a statue at the new Cardiff City Stadium. Striker Toshack was the youngest ever footballer to play in a league match for City when he made a goalscoring debut as a substitute during a 3-1 victory against Leyton Orient in November 1965 – he was 16 years and 236 days old. The record stood for 41 years until it was broken in 2007 by Aaron Ramsey. Toshack formed one of Cardiff’s most lethal strike partnerships with Brian Clark and scored his first hat-trick in 1968 during an 8-0 rout against Ebbw Vale in the Welsh Cup. Toshack scored 87 goals in 193 matches in all competitions with 74 goals in 162 league appearances. The striker had a long-standing affiliation with Wales, winning 40 international caps, playing for and managing Swansea City and also having two spells in charge of the Wales national side. He infamously quit as Wales manager in 1994 after just 41 days in charge but was appointed for a second time a decade later. CD Tenerife were once a strong side in La Liga, but now dwell in the doldrums of the Spanish third tier. Under the guidance of current Bayern Munich boss Jupp Heynckes, the Chicharreros made it to the semi-finals of the UEFA Cup in the 1996-97 season, beating the likes of Feyenoord and Lazio along the way. But, recent seasons have not been so fruitful at the Helidoro Rodriguez Lopez. A seven-year spell in the Segunda Division came to an end in 2009 with promotion but the club were relegated from La Liga after just one season in the top flight. The 2010-11 season saw the club go into free fall. Three coaching changes saw the team suffer relegation to the third-tier of Spanish football for the first time in 24 years. 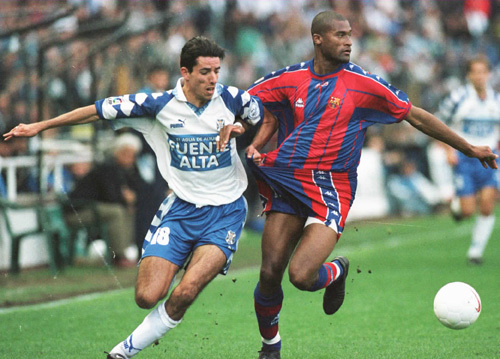 Some excellent footballers over the 1990’s and 2000’s donned the blue and white of Tenerife before the club lost its way; here are six of the best. Considered one of the finest players to grace La Liga, Redondo made over 100 league appearances for Tenerife during the early 1990s. The South American was a key player for the side and under manager Jorge Valdano foiled Real Madrid on the final day of the season on two separate occasions, gifting the league title to their arch rivals Barcelona. Valdano was appointed manager of Real Madrid in 1994 and took Redondo with him to the Santiago Bernabeu where he spent six industrious years. He won the Champions League in 1998 and again in 2000 when he will be remembered for a magnificent quarter-final second leg performance against Manchester United, in which Madrid won 3-2. The Peruvian enforcer arguably spent the best years of his career at Tenerife, forging an effective midfield partnership with Fernando Redondo. He helped the club qualify for the UEFA Cup for the first time in their history in 1993 where they reached the last 16 before bowing out 4-2 on aggregate to Juventus. Spells at seven different clubs around Europe followed before he stepped into management in Argentina with Colon Sante Fe. He has since went on to coach Peru and is revered in his homeland for a successful career on and off the pitch. Bosnian striker Meho Kodro joined Tenerife in 1996 after spending just one season at Barcelona. He spent three campaigns at the Helidoro and will be best remembered for the two goals he netted for the club en-route to the UEFA Cup semi finals during 1996-97. He enjoyed a prolific spell at Real Sociedad before joining Barcelona, netting 73 goals in 129 league matches but failed to recreate this with only 18 goals in 72 league appearances for Tenerife. After the club’s relegation season in 1999, he left for Deportivo Alaves. One of the most feared strikers in Europe on his day and a favourite in the “first goalscorer” market with free bets punters looking for a “sure thing”, fans will note his spell in the Canary Islands for two years in the late 1990’s before prolific spells at Deportivo La Coruna and Bayern Munich. After four seasons in Holland with Vitesse, Dutch international Makaay stepped up a level and played in La Liga with Tenerife. Seven goals in his first season helped the club avoid relegation but even 14 strikes in 36 appearances during the 1998-99 campaign could not prevent the club slipping into the Segunda Division. The Argentina-born Spain international enjoyed two prolific spells at Tenerife during the early and mid-1990s. He scored 30 goals in 68 league matches during his first two seasons, which helped the club qualify for the UEFA Cup in 1993. A disappointing season at Valencia followed but he returned to the Helidoro in 1994 where he struck 46 goals in 73 league appearances. In the 1995-96 campaign he scored 31 in 41 matches, winning him the Pichichi Trophy in Spain for being the top goal scorer and also the European Golden Boot. He then joined Barcelona but found it difficult to break into the side ahead of Ronaldo and Sonny Anderson. Former Liverpool attacker Luis Garcia played for Tenerife under then-manager Rafa Benitez, and was part of the team that won promotion to La Liga in 2001. Garcia had spent relatively quiet spells at Valladolid and Toledo in previous seasons but exploded in the Canaries. He scored 16 goals in 41 league matches before moving on to Atletico Madrid and then returning to Barcelona before linking up again with Benitez via a £2 million switch to Anfield in 2004.